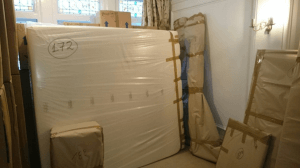 This article will provide you with some tips from our top removal workers to ensure the safety of your products before, during and after transportation; Meaning that you won’t have to dig into your pockets to replace, renew or restore any damaged goods. Within our business, the export packing crew has been involved in few challenging and labour demanding jobs in Jan with difficult object to handle and extra layer of protection needed. Below are two photos in that regard. However, with an increasing demand for work to and from Dorset and in particular Bournemouth and Poole, the company signed a partnership agreement to co-operate with the Dorset base company Orbis Moving and Storage (www.orbismoving.co.uk) to assist with resources when and where jobs to and from the area are needed. Thus, making the moving process within our company more secure with the help of fully trained professionals; Providing you with only the best service. Firstly, alongside the horror of finding out that your products have been broken; It’s even worse to not have them reach the destination at all! 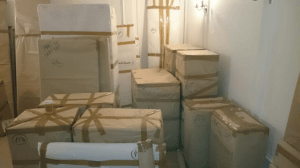 Clearly labeling all boxes and objects with numbers or creating lists to track down your items will be useful to not only you but us professionals here at Top Removals. There are also a few materials you could have a look into buying before your move. Things such as bubble wrap, Styrofoam blocks (shaped for your products size and shape), reinforced boxes, and packing peanuts (to fill in any cracks or corners). It may cost a little extra out of your pocket but can be found for free in some circumstances. These simple items are essential for keeping your products safe and crack-free. Don’t forget to look at the quality of your packing choices. Cardboard boxes are stronger and more reliable if you use the corrugated type. Make sure that the box also fits snug with the size of your item as the more room within the box, the more chance of it moving about and getting damaged. If you have fragile items; Scrap the cardboard box all together! 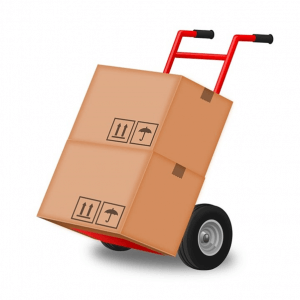 Fragile items need to be secured with a sturdy material, possibly in its original packaging or within Styrofoam shapes. Cardboard; Although very sturdy, is too soft and less durable to handle more fragile and expensive things.